The excited faces of children on the run up to Christmas is why the magic is just so special. 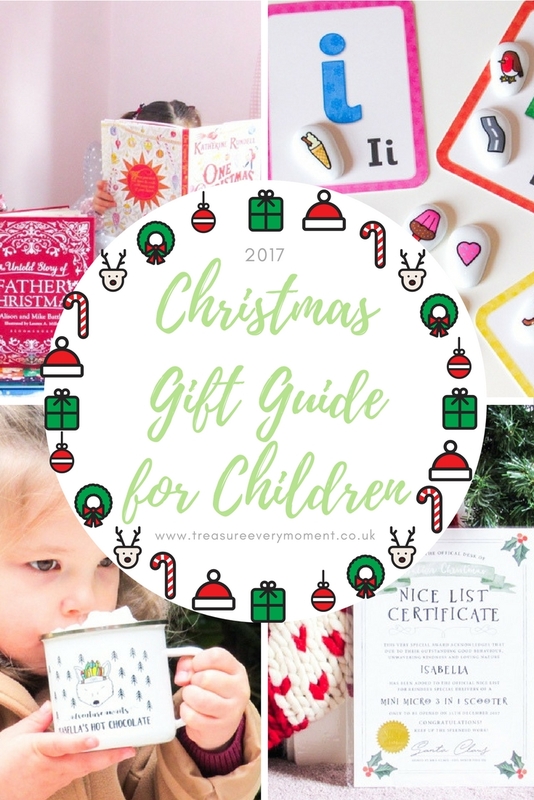 Finding unique gifts that are fun, educational and practical can be tricky, but I've put together some of my top gift recommendations for children this year. 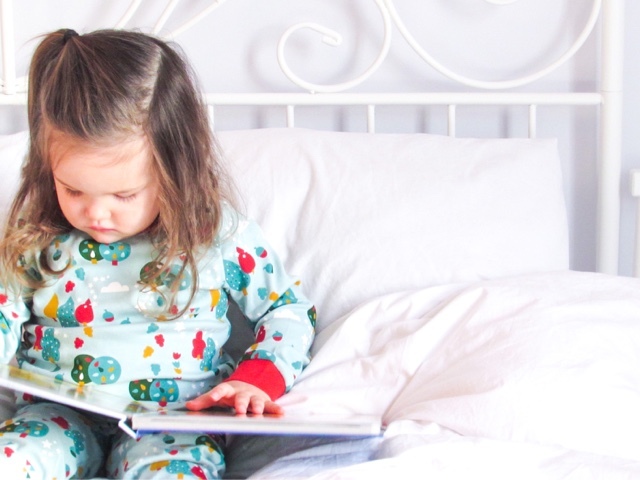 Personalised gifts for children add that extra touch, especially when they get to an age where they can read their own name. 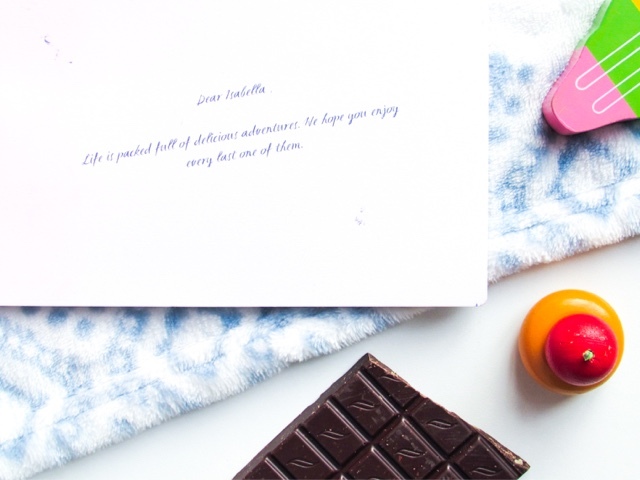 Who doesn't love a gift with your name on? Most of these gifts inspire children to use their imagination to explore the world of magic and creativity. 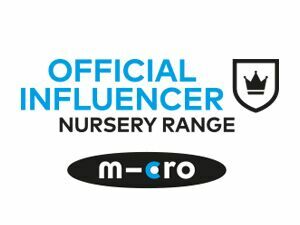 Play&go Colour My Bag by Omy (£29.99) - Play&go do an impressive range of toy storage bags that double up as a stylish play mat too. 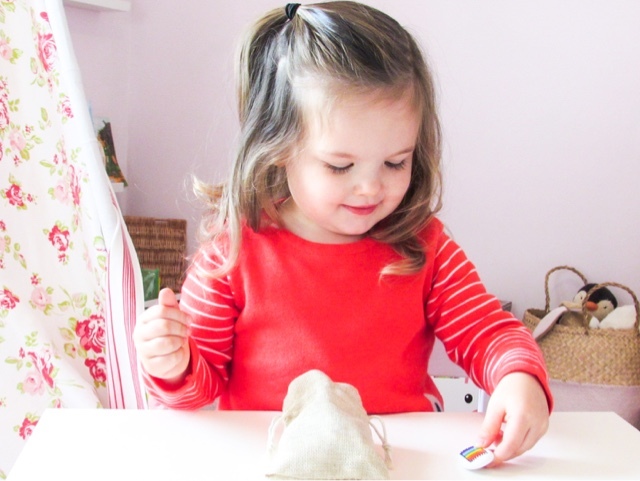 Your children can play with their toys on the mat and when it's tidy up time all you do is pull the two handles on either side of the mat and it gathers together to create a storage bag. I have featured the play&go Flamingo patterned toy storage bag on my blog previously, if you're interested in seeing a different design and full review then click here. They have recently brought out the Colour My Bag by Omy, which combines the handy feature for quick tidying up whilst providing entertainment in itself. 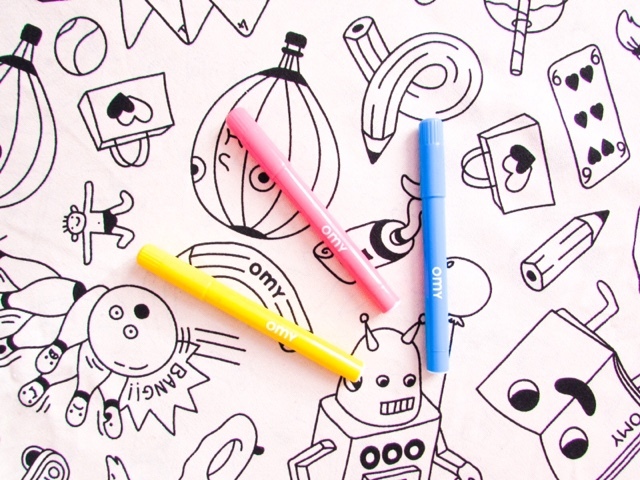 It comes with three felt tips (blue, pink and yellow) that can be used to colour in the various pictures and patterns across the bag. Best of all? 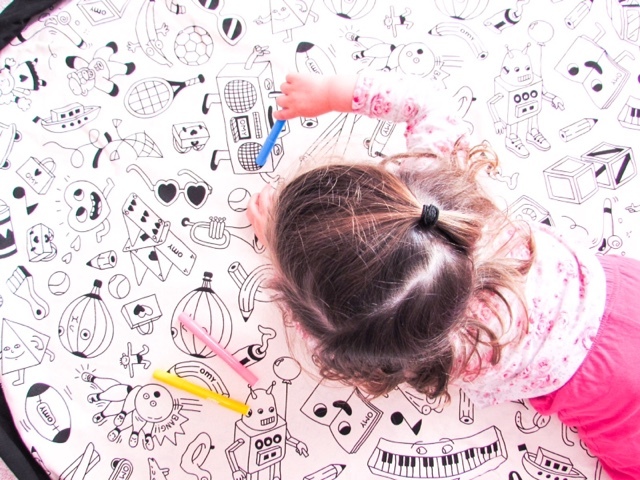 You can wash the bag and start colouring it in all over again! 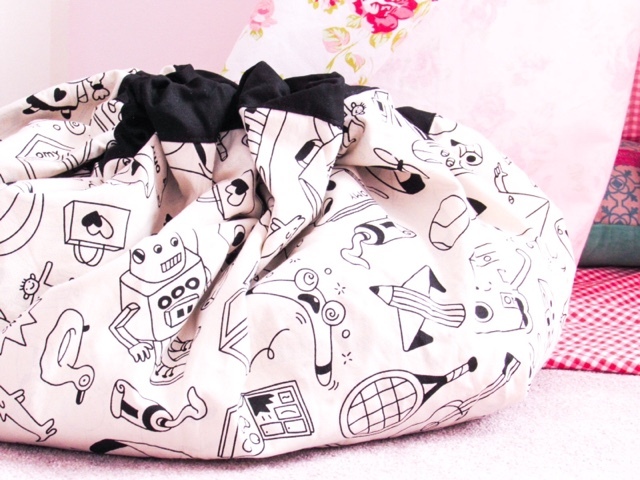 Both sides of the bag have a pattern on, so there really are hours of entertainment and a fun way for children to take ownership of the dreaded tidying away job. 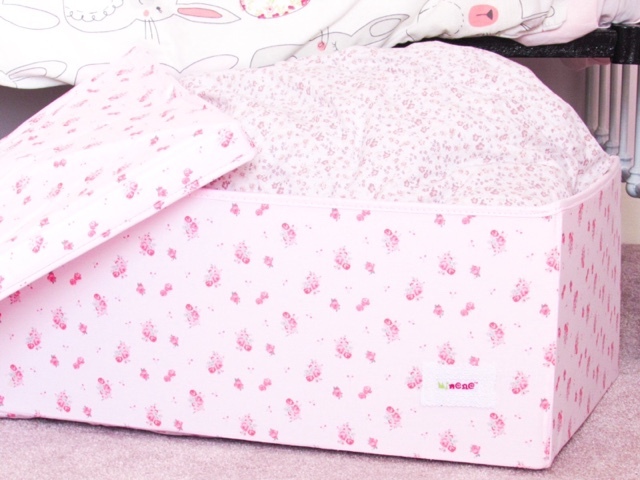 Minene Fabric Storage Box with Lid (£30) - Minene is probably best known for its incredibly useful storage boxes and baskets. As soon as you become a parent you learn how important it is to become effective with your storage. 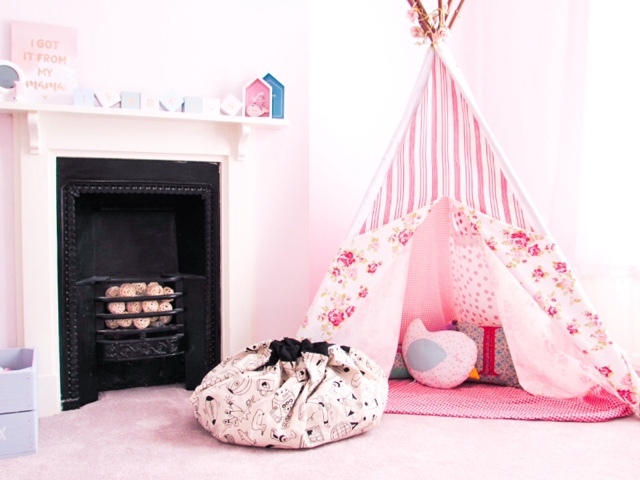 Space is often limited and life with babies/children comes with a lot of different things, including: clothes, toys, bedding, dressing up, games etc. So, why not make that storage pretty as well as convenient? This is where Minene step in, they have baskets and boxes in a beautiful range of patterns and designs, perfect for every room in your house. 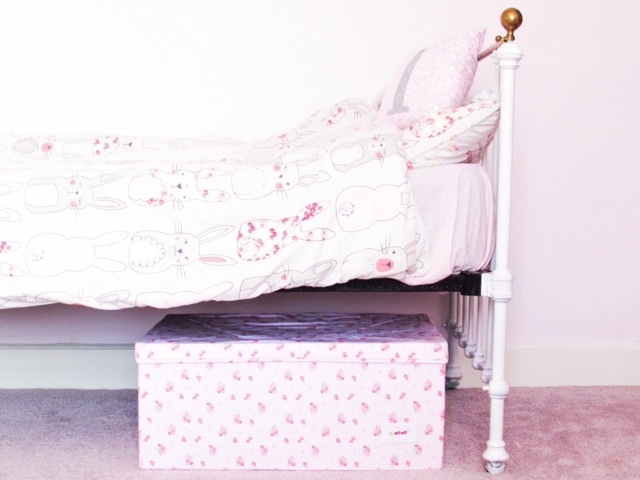 We have a grey chevron basket in the living room with Poppy's toys in, a grey star small storage box with lid in her bedroom with bibs in and this large storage box with lid in pink white flowers under Isabella's bed. 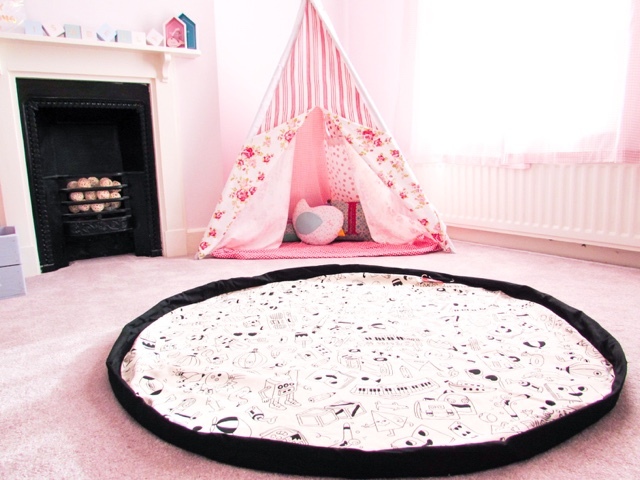 They're just so useful, can be flattened down to store away if needed and are made from soft material making them ideal for children's bedroom. 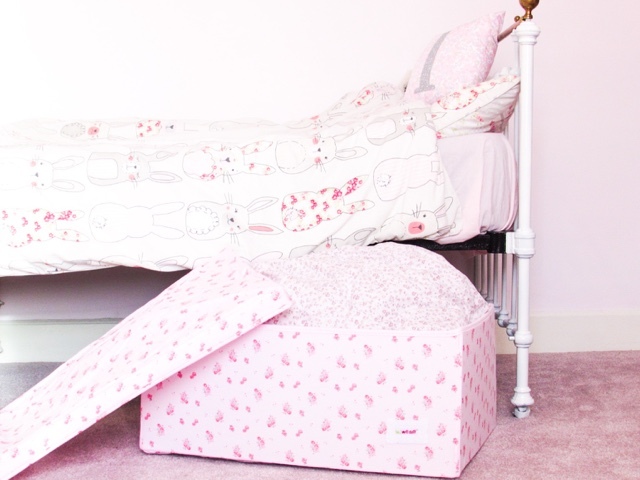 This storage box with lid is available in over 12 different patterns, so head over to the Minene website to find the perfect match to your child's bedroom. 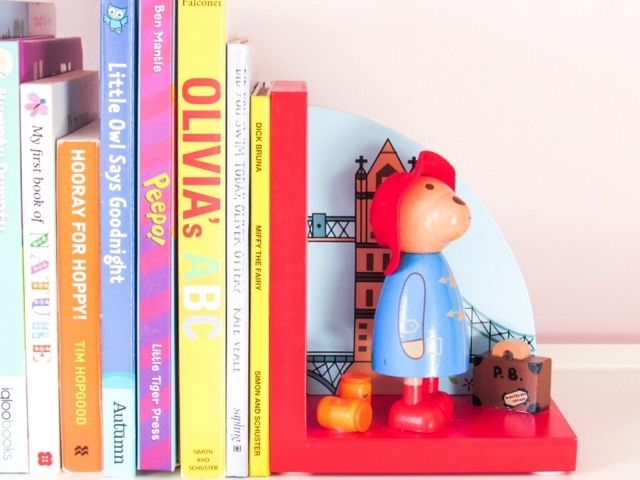 Orange Tree Toys Paddington Bear Bookends (£21.98) - Who remembers Paddington Bear from their childhood? I certainly do, in fact he makes me think of my Grandparents because they had a cuddly Paddington that had mini red wellington boots on in their bedroom. It's such a nostalgic character for many generations and I love it when characters I remember are still around for my children to get to know. 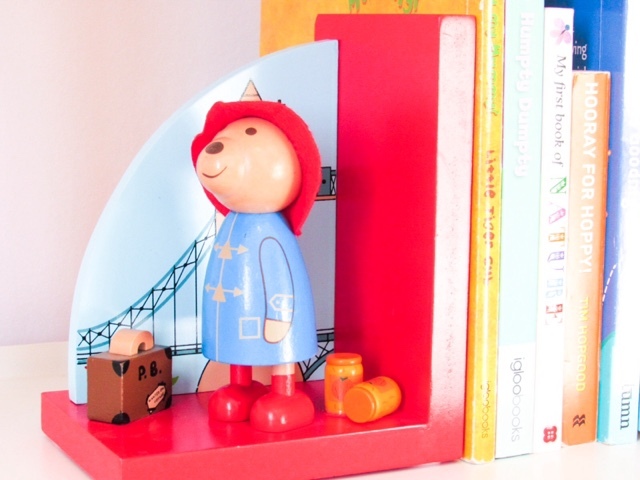 Orange Tree Toys have created these beautiful handcrafted wooden bookends with Paddington Bear waiting patiently by London Bridge. 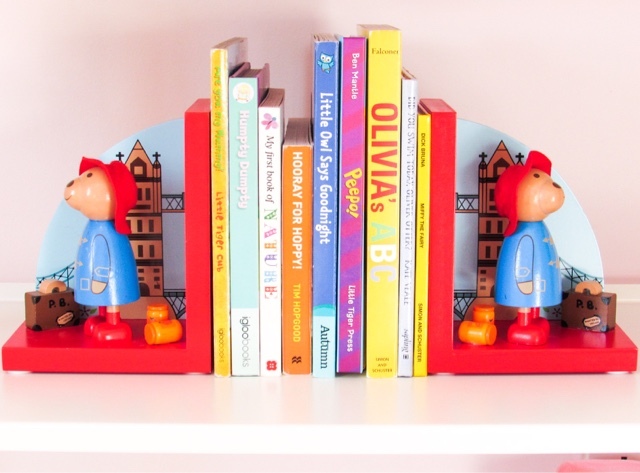 The quality is outstanding and they would make such a lovely addition to any child's bookshelf. 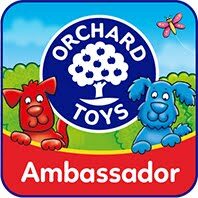 There is a whole range of Paddington Bear toys and gifts available on the Orange Tree Toys website too. 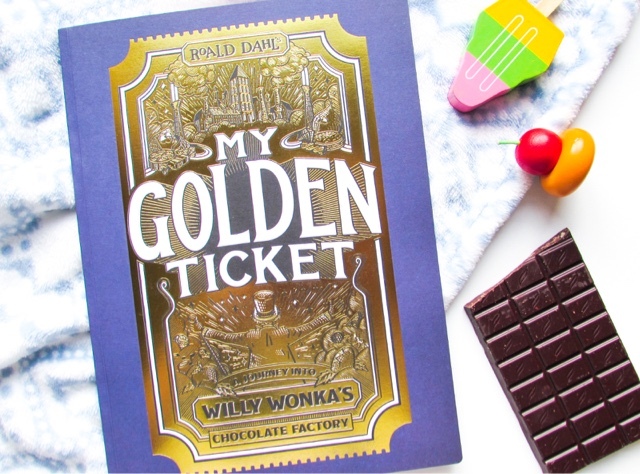 My Golden Ticket by Wonderbly (£19.99) - Willy Wonka's Chocolate Factory has been a childhood classic for many generations and now children can enter the factory through their own personalised book. 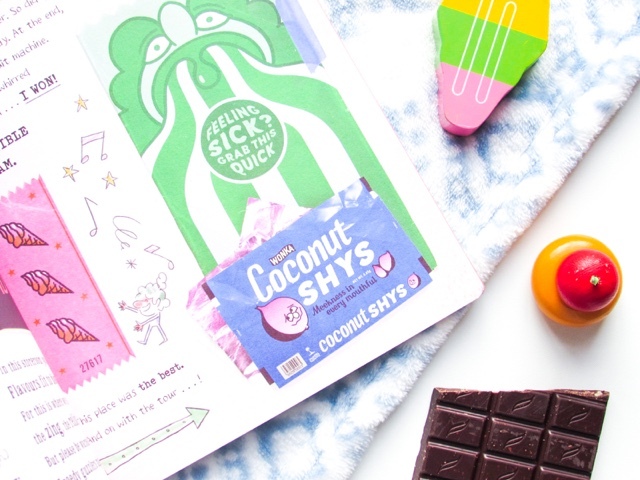 Wonderbly create many different personalised books, including Lost My Name and The Birthday Thief, which completely immerse children into a world focused around their own adventure. My Golden Ticket is a beautifully illustrated story book aimed at children between 5-12 years old. 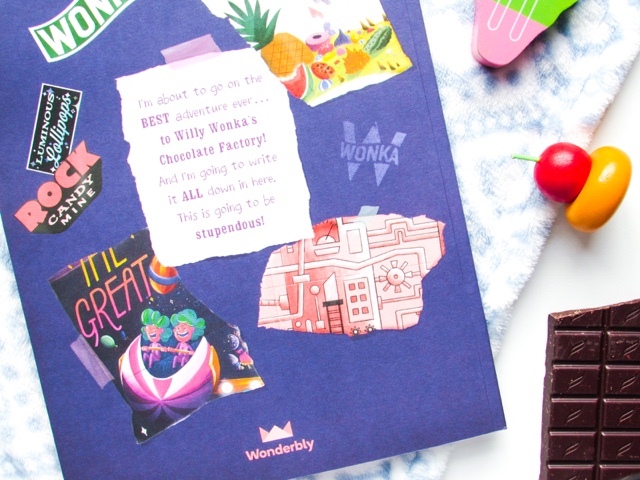 As they work their way through the book they'll explore Willy Wonka's Chocolate Factory, along with new rooms and delicious secrets. All whilst excitedly spotting their name throughout the book and letting their imagination run wild. 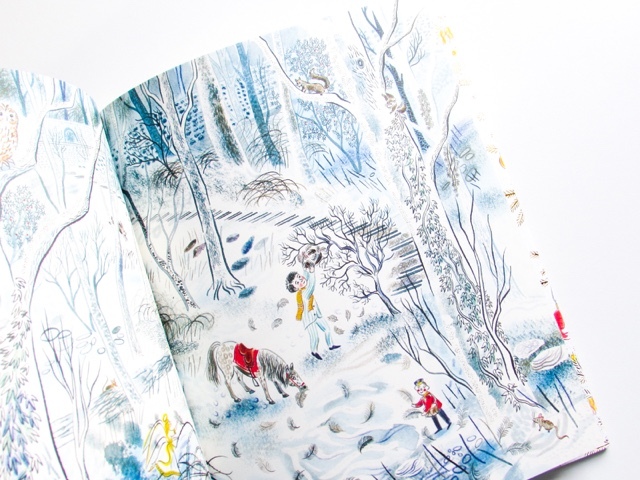 A truly stunning book for a lucky child to receive this Christmas. 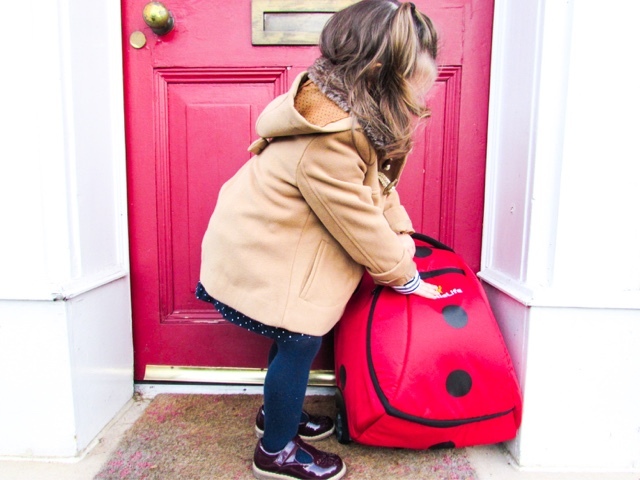 Ladybird Suitcase from LittleLife (£49.99) - Travelling with children can be intimidating for many reasons, mainly focused around the fear of keeping them entertained and content. 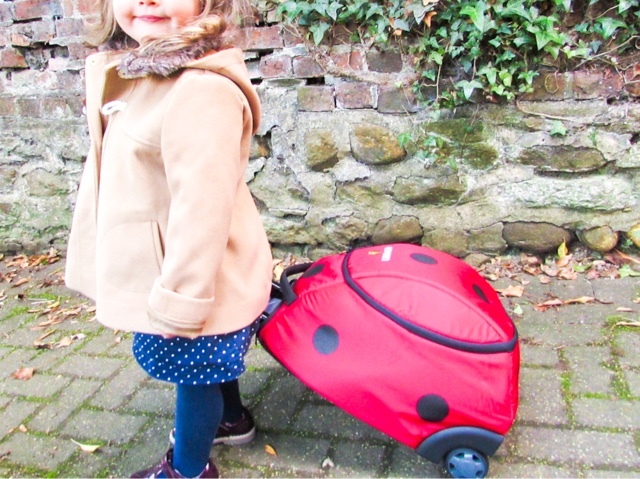 Giving children responsibility and independence when travelling can really help to keep them happy and the LittleLife animal suitcases are perfect for that. 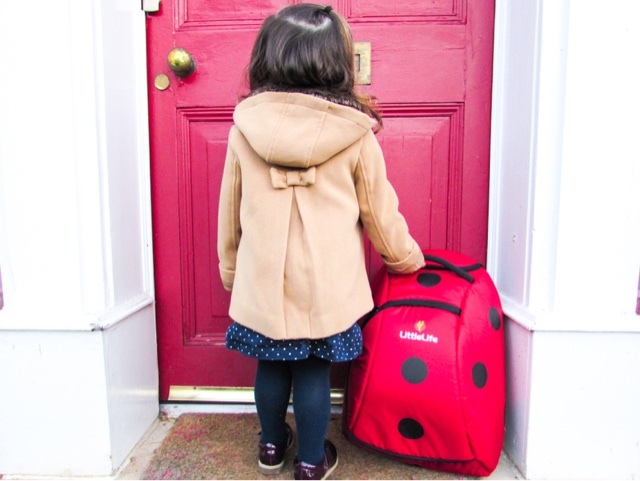 The Ladybird Suitcase is small enough for children to pull along themselves, yet really spacious inside (20 litres capacity). The domed shape ensures that the space is maximised, whilst the soft rubber wheels provide a smooth pull along suitcase. It meets airline hand luggage requirements, making it the ideal option for taking on holiday abroad. Isabella took the Bee LittleLife suitcase on holiday to Iceland at the beginning of this year and loved pulling it along herself. The pull along handle was a good height for her and she was fiercely protective over it; there was no way we were able to help her pull it along! Santa's Nice List Christmas Certificate from Nina Thomas Studio (£12.50) - Nina Thomas creates the most beautiful wedding stationary, nursery prints and baby milestone cards all based around pastel colour tones. 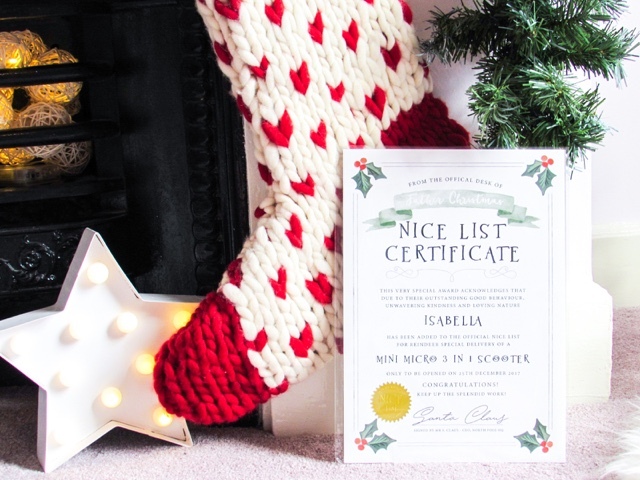 This year she has expanded her range to include this stunning Santa's Nice List Christmas Certificate, as well as Santa's Nice List Results Card, Baby's First Christmas Card and Make a Wish for Christmas Bracelet. 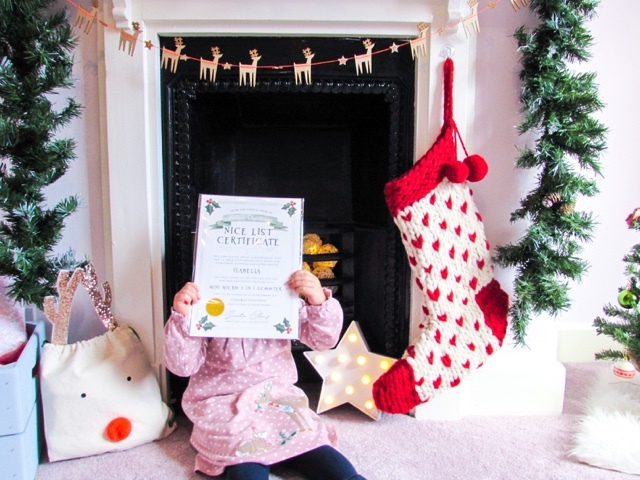 It is such a fun idea to give your child a certificate declaring that they are on the Nice List this year, just before giving them their main present. 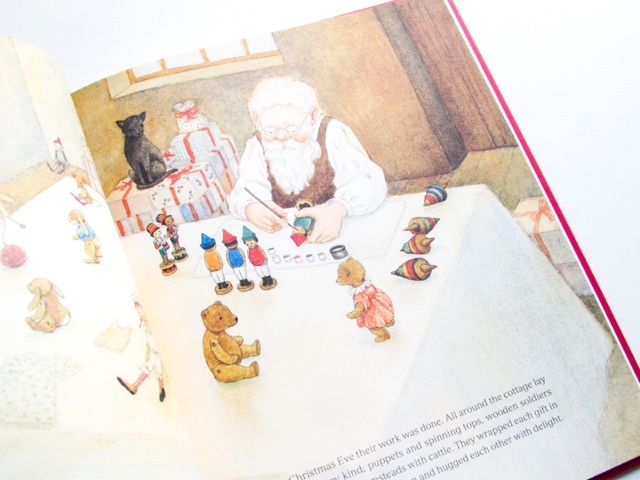 It appeals to children's imagination and adds to the magic of Christmas. 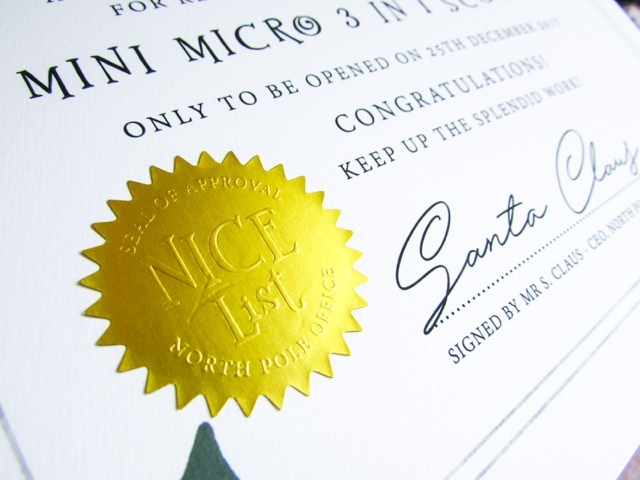 The attention to detail on the certificate is outstanding, with a gold foil embossed seal and such a beautiful design. 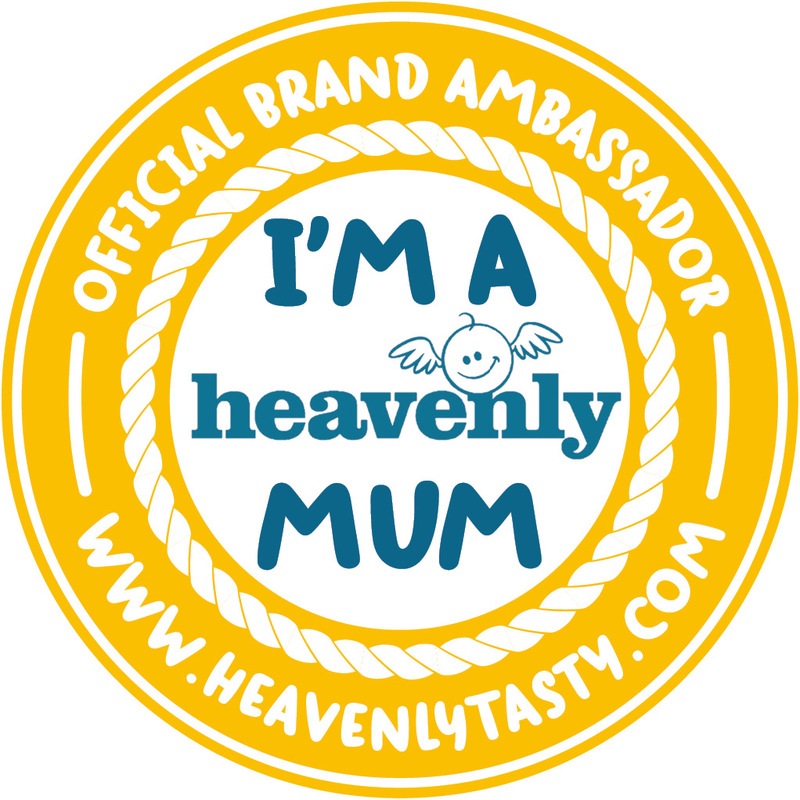 To personalise it you enter your child's name, three reasons for the award and what their most wanted present is. 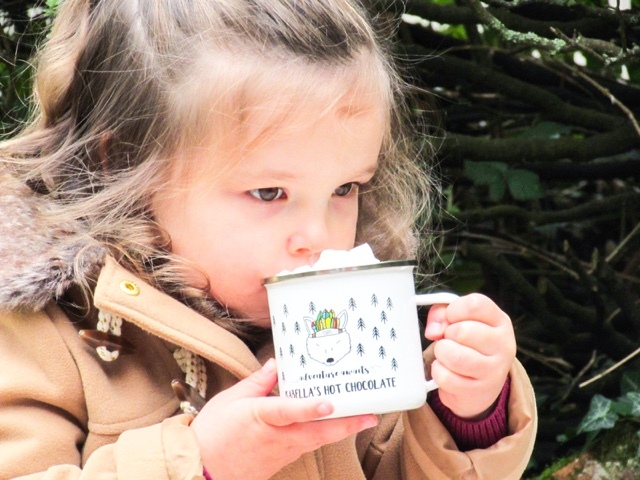 Adventure Awaits Kids Hot Chocolate Mug from Jack Spratt Baby (£15) - Who doesn't love warm hot chocolate on a cold day? 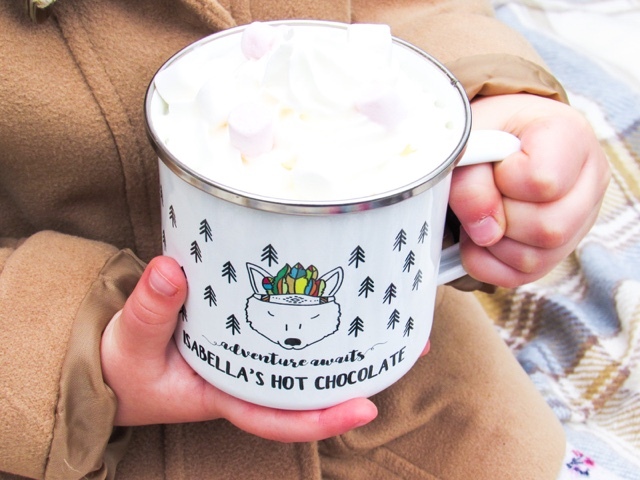 This personalised enamel mug from Jack Spratt is just perfect for those hot chocolates enjoyed snuggled up on the sofa, on picnics or during camping adventures. You can choose between a rabbit, fox or panda for the animal and also personalise the name too. 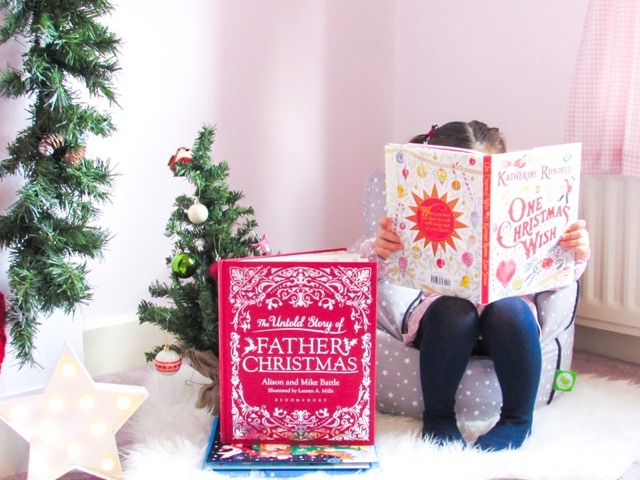 One Christmas Wish (£13.49) or The Untold Story of Father Christmas (£11.69) by Bloomsbury - If the magic of Christmas isn't the perfect basis behind a book then I don't know what is. One Christmas Wish is a beautifully illustrated children's book focused around a boy called Theo who makes a wish upon an odd-looking star he sees on Christmas Eve. His wish is simple; to have some friends to keep him company. Moments later the Christmas decorations fly off the Christmas tree and an adventure begins. It's a book full of magic that can be read year after year. The front cover of The Untold Story of Father Christmas has such a classic design to it, giving it the feel of being a story handed down over many years. Has your child ever wondered where Father Christmas came from? If yes, then this is the book for them with a timeless storyline about how a toy maker and his wife became Mother and Father Christmas. 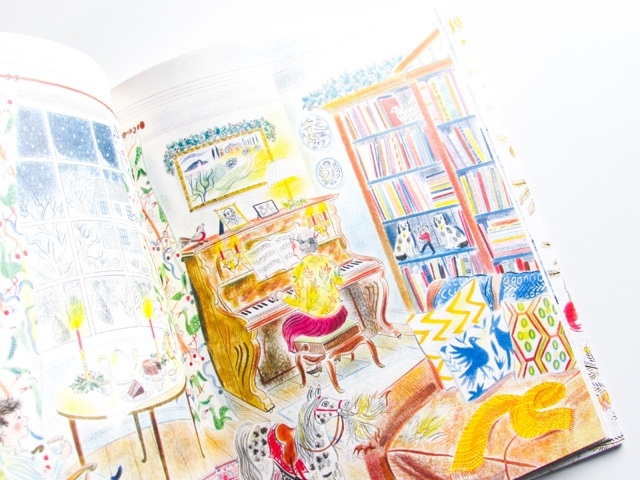 Again, it is beautifully illustrated throughout and such a heart-warming story to read. 20 Random Story Stones from Imagistones (£18) - Imagistones was set up this year by two sisters who recognise the inspiring qualities of story stones. 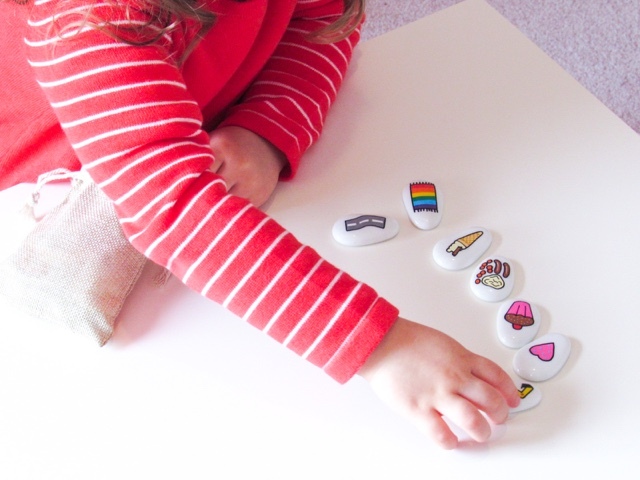 Each stone is lovingly hand painted in the UK and is such a versatile gift for children. 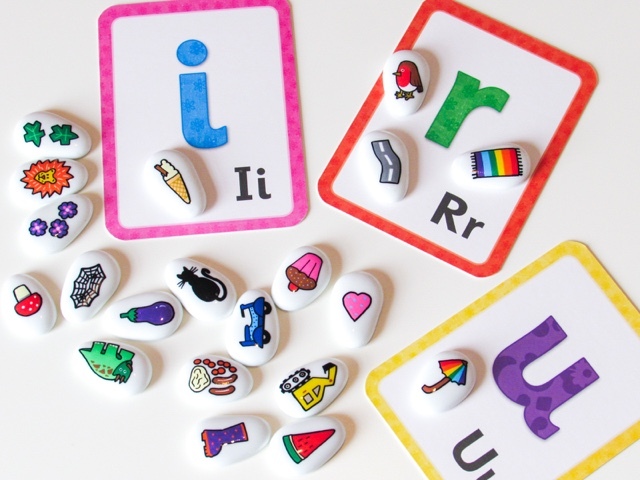 You can use the story stones in so many ways, including to create stories, practice handwriting, writing sentences/stories, picture recognition, playing games (Can you find...?, which one is missing? etc. ), identifying initial letters/sounds in words etc. Imagistones have sets of 15, 20 or 30 random story stones or sets of 10 themed story stones, including animals, transport and nature. The stones are made from recycled glass pebbles and painted using non-toxic paints, so they're child friendly and can withstand small knocks/scratches. 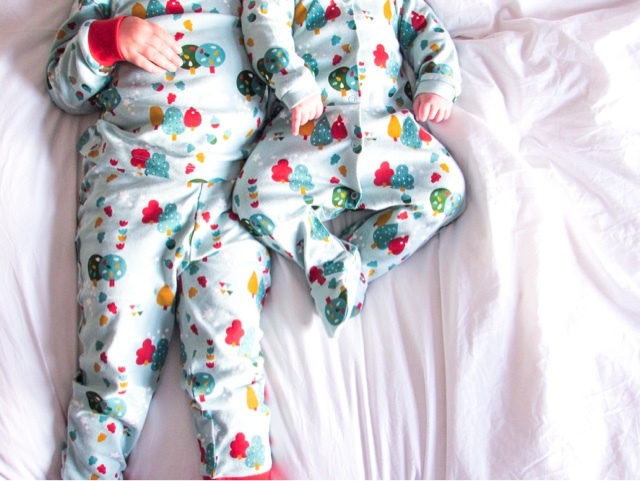 Falling Leaves PJ's from Little Green Radicals (£29) - How adorable are these matching pyjamas? 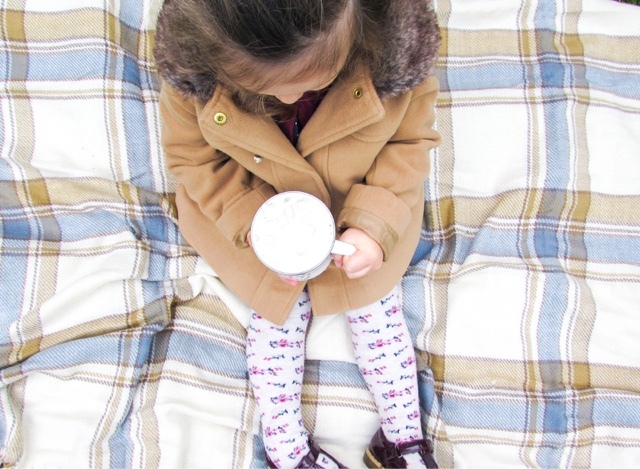 Little Green Radicals is a brand that creates fun clothing out of the highest standard Fairtrade Organic cotton. Their patterns change seasonally, often with such a magical twist. 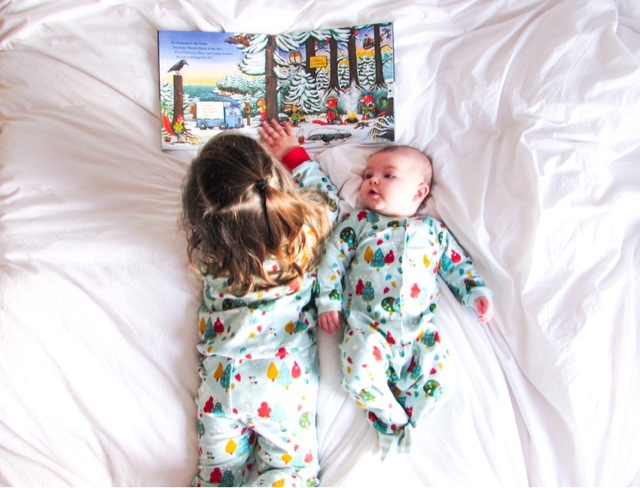 These pyjamas are incredibly soft and the matching Falling Leaves baby grow (£22) is the perfect option for younger ones or for a spot of irresistible twinning. Their patterns run throughout their clothing lines, so if you fall in love with a certain one then it is possible to pick up a whole wardrobe in it! I have also put together a Gift Guide for Babies, Toddlers and Him, if you're in need of more inspiration. 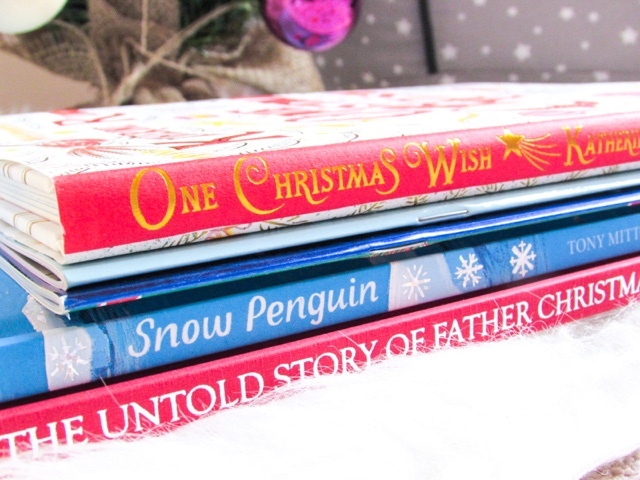 What are your top gifts to give children this Christmas? 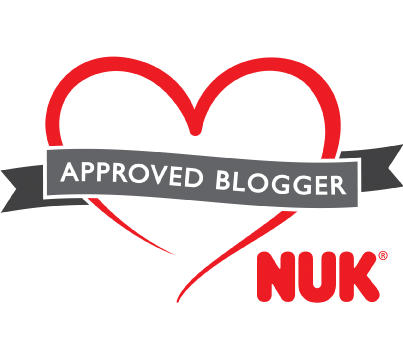 I'm linking up this blog post with Christmas Gift Guide Link and #TwinklyTuesday. 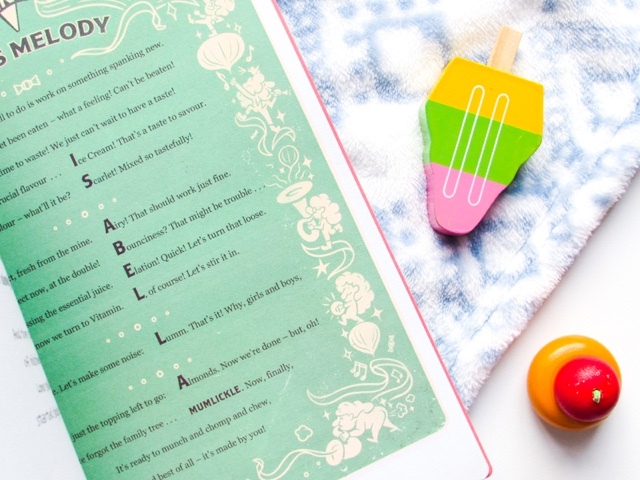 Wonderbly is such a great site for children's books. I love Wonderbly too. I personalised it for Jenson for when he gets older but wrote myself into it too cos I kinda want it. That Play & Go back is so cool! I love the fact that you can just bundle it all up afterwards with whatever carnage lies within...genius idea! What beautiful gifts I love them pjs and story stones and I think the books are such a lovely idea too. What a Christmas gift list! 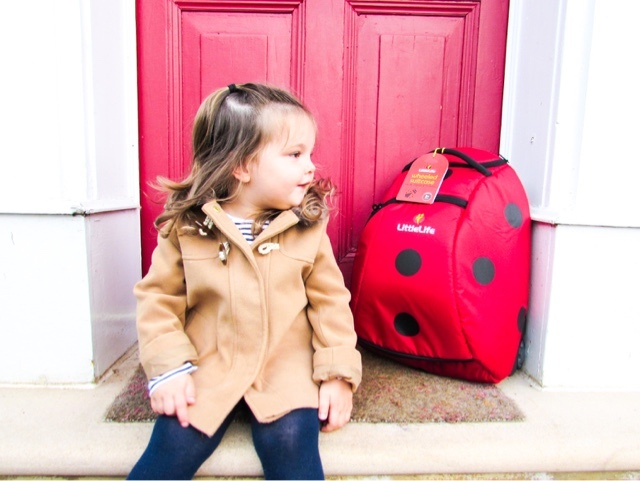 The ladybird suitcase is a great size for little ones. And the girls matching pj's are so cute and perfect for twinning of an evening! Those matching pj's are so cute! I love the colouring storage bag and those books look beautiful. Oh how lovely! 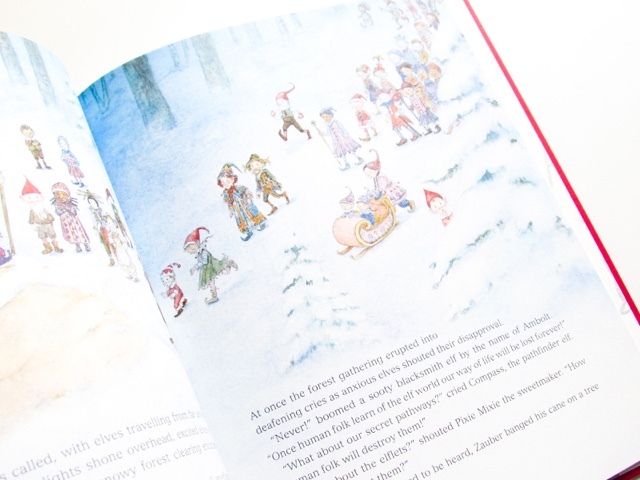 We have The Untold Story of Father Christmas and it is just the most beautiful book isn't it? What a great gift guide! Books are always my favourite thing to give. I like the red suitcase. So cute.